Mike and Wendy are architects. 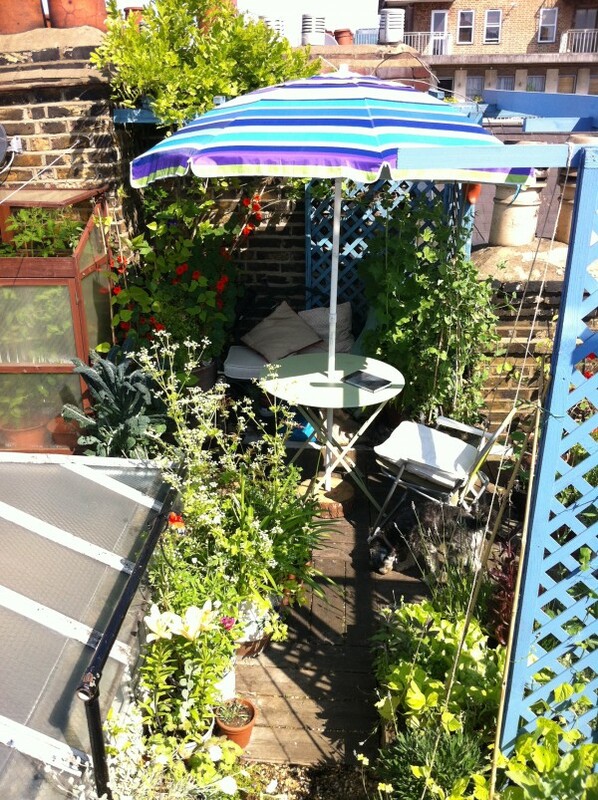 Wendy also writes fiction and maintains a roof top vegetable garden on the flat roof of the house. We both work from home, so there is pretty well always someone around if you need anything. We have been hosting visitors from around the world for almost twenty years. Our visitors love staying with us and they love the breakfasts we cook for them. Many come back year after year. 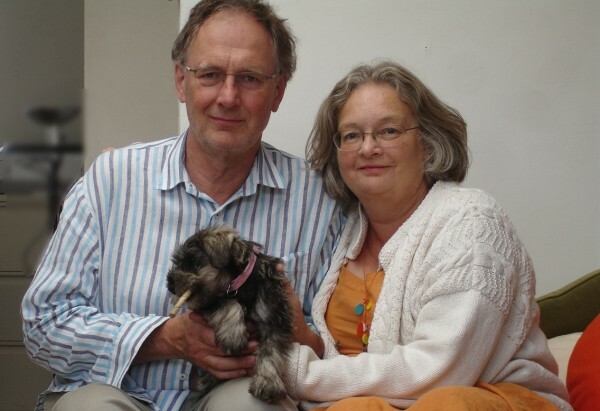 We live here with our mini schnauzer, Rosa Bar, who is now almost four years old and a bit bigger that the photo. She enjoys a daily walk in Regent’s Park, which is just 15 minutes away. We have a rooftop garden where Wendy grows heritage vegetables. Guests are welcome to enjoy the garden in the summer months. A full English or Continental breakfast is included in the room rate. We serve organic and wholefoods wherever possible. Our eggs are organic and free range, our bacon is cherry oak smoked, organic from the Duchy of Cornwall. We can cater for any dietary requirement that you have.